Indian Telecom Operators are placing high bids to get 3G Spectrum Allocation to attract more users with the new 3G services that they could offer, but the problem many users face is that to avail 3G services the handsets need to support 3G network, currently only the high end phones support 3G networks, all the new low cost phones don’t support 3G networks. Micromax a Indian Telecom Company has launched Micomax H360 a low cost handset that supports 3G networks which is also touchscreen phone priced very competitively at Rs.5499 only. Micomax H 360 has a candy bar form factor, supports 3G Networks, supports video calling on 3g, HSDPA ( 3.6 Mbps ), TouchScreen, 3MP Camera and Expandable Memory upto 8GB.The handset also has TV Out using which you can watch your recorded video on your TV using the TV Out connector. Music Player ( MP3 / AMR / MIDI / WAV ) Formats. Download the Micromax H360 Phone Suite to connect the phone with the system and Micromax H360 User Manual. 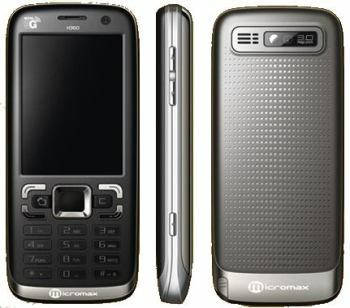 Want to buy Micromax H360. From where i can buy this as i am in Himachal Pradesh. micromax h360 mobile is the latest 3g set in respect to rates. Micromax H360 Is cheapest handset in the any other handset i am buy this handset as soon as possible. this handset is the best product of Micromax Mobile. I want to buy this phone. Kindly any one please advise if it is good for seeing share prices on internet. Also where available in LUCKNOW and the current price. tHANKS.